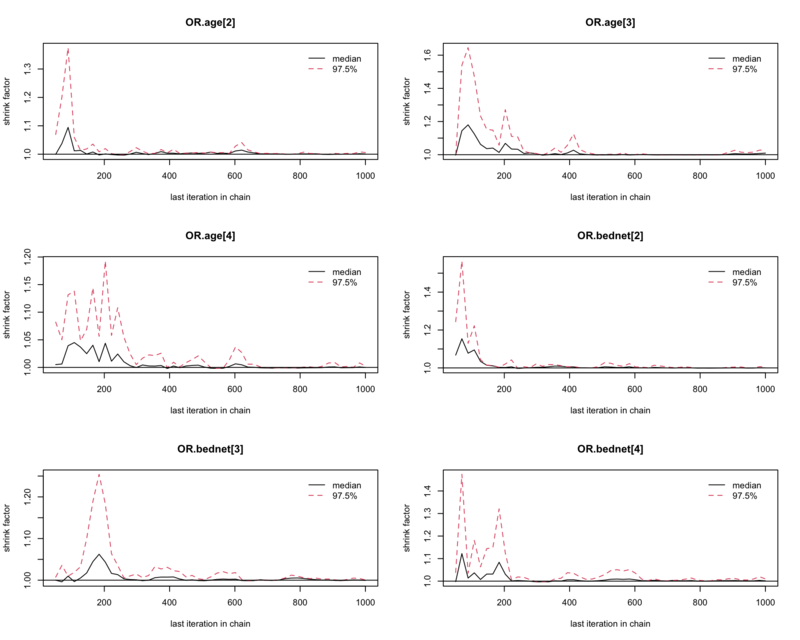 圖 86.1: Density plots for parameters for GLM about the odds of malaria regarding netbeds use in Gambia children. ##               Point est. Upper C.I. 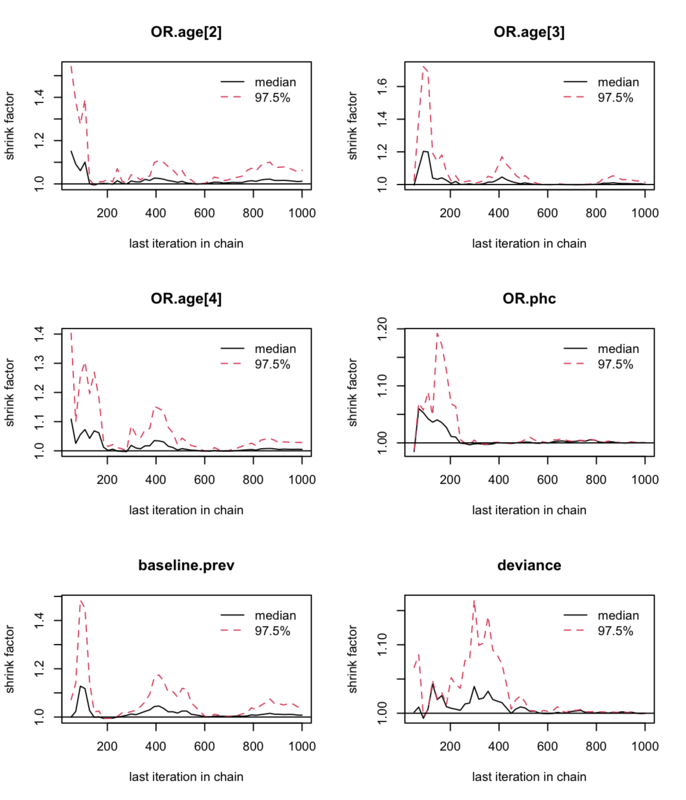 圖 86.2: Gelman-Rubin convergence statistic of parameters for GLM about the odds of malaria regarding netbeds use in Gambia children. 圖 86.3: Gelman-Rubin convergence statistic of parameters for GLM about the odds of malaria regarding netbeds use in Gambia children. 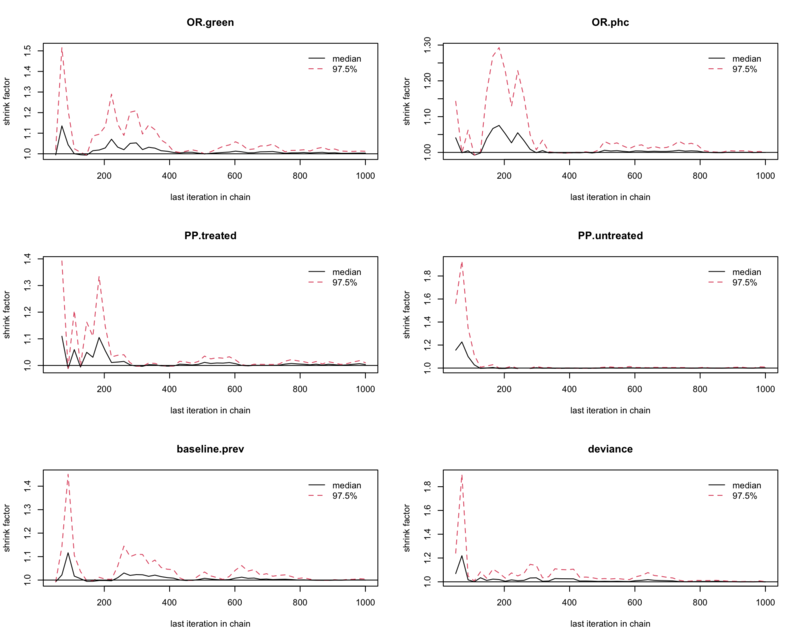 圖 86.4: Density plots for parameters for GLM about the odds of malaria regarding netbeds use in Gambia children. 圖 86.5: Gelman-Rubin convergence statistic of parameters for GLM about the odds of malaria regarding netbeds use in Gambia children. Diggle, Peter, Rana Moyeed, Barry Rowlingson, and Madeleine Thomson. 2002. 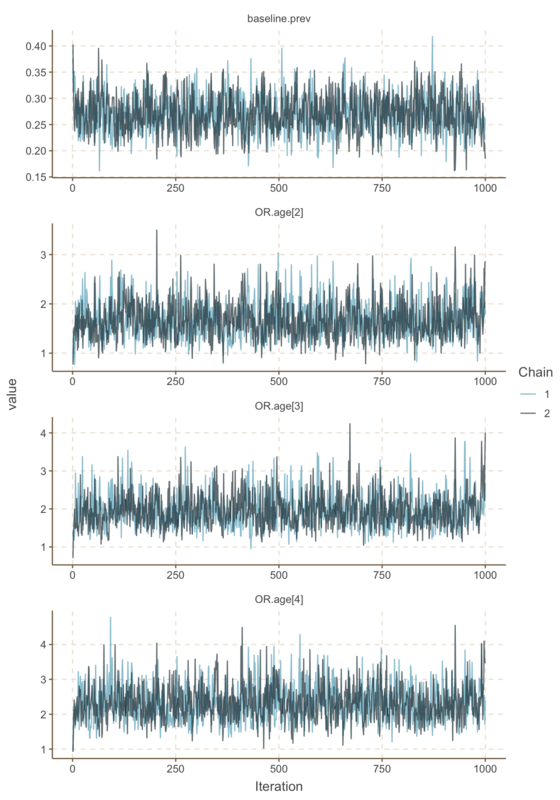 “Childhood Malaria in the Gambia: A Case-Study in Model-Based Geostatistics.” Journal of the Royal Statistical Society: Series C (Applied Statistics) 51 (4): 493–506.